Sweet Fever is an American Rock ‘n Roll band who’s explosive sound honors the traditions of the legends that came before them. The Nashville-based foursome - singer/guitarist Derrick Wesley, bassist Jake Kimble, guitar/keyboardist Nolan Brown, and drummer Nick Amend - are blending stadium-sized riffs, soulful harmonies, and an attitude of boundless joy to entertain and inspire audiences of all ages. The songwriting origins of Sweet Fever started with Derrick Wesley and Jake Kimble. Nolan Brown began collaborating in late 2018 to create a collective style drawing from influences of The Beatles, The Eagles, Aerosmith, Elton John, Kings of Leon, and beyond. 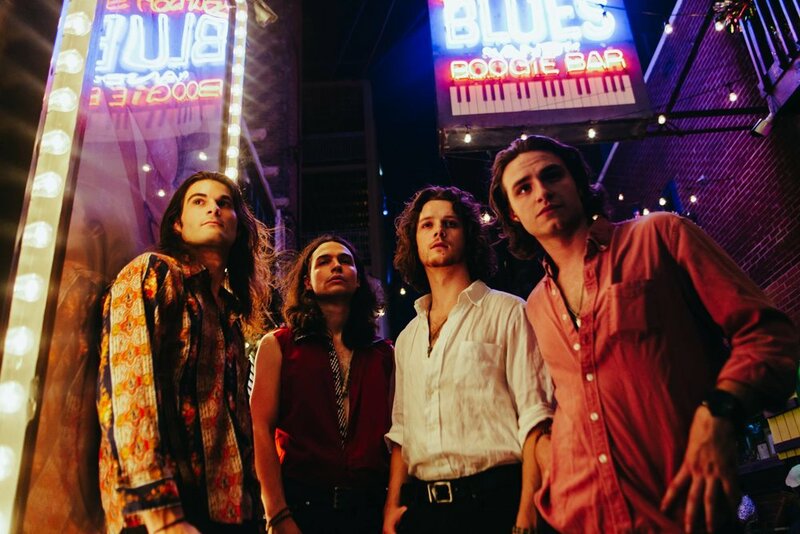 They have been gaining traction in the local Nashville scene, and are beginning to build markets around the Southeast and Midwest U.S.
Timeless Rock ‘n Roll is alive and well, and Sweet Fever is here to prove it. Check the band’s website calendar for show announcements and experience the reckless revolution for yourself!